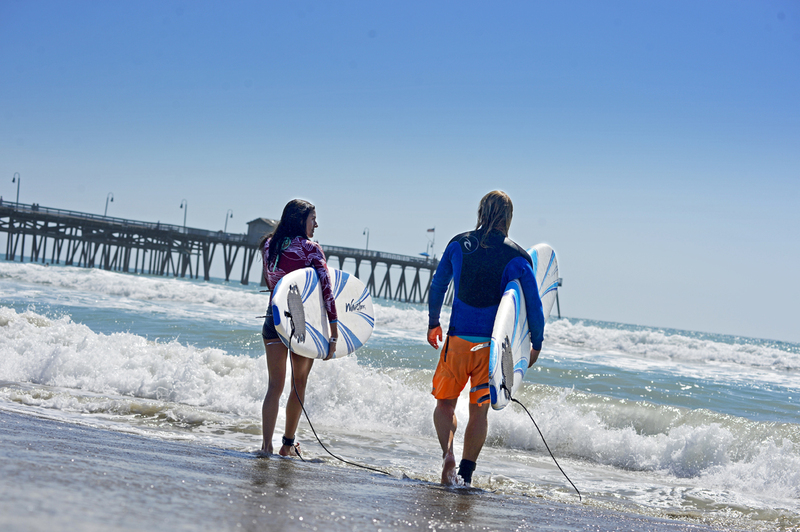 More surf-inspired style from the west coast! 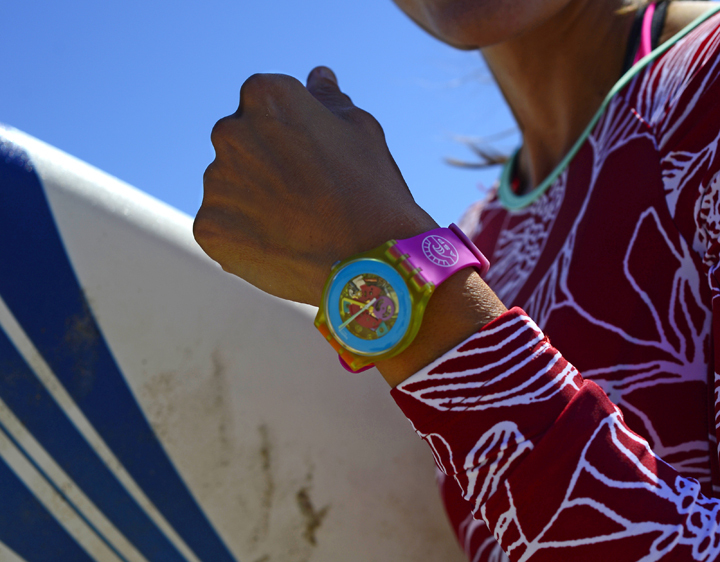 As you may know, I was in Cali last week at the Swatch Women’s Pro Surf Competition. But, when we weren’t watching the girls rip-it-up, we took full advantage of the awesome surf to catch some of our own waves. The entire trip was filled with lots of outdoor activities and fun ways to stay fit, but I always get the best workout from a day of surfing. It totally engages your entire body; core, quads and arms, all while feeling energized and keeping cool. Can’t beat that for a Workout Wednesday! And, can we discuss how retro-cool this one-piece suit is from Seea? Totally functional and flirty too! No losing my bikini bottoms on a wipe-out with this get-up! can do a surf-inspired workout on your yoga mat! Think, body-weight exercises like; power push-ups, jump squats, lunge jumps, burpees, and crunches or butterfly sit-ups. Get creative and mimic moves that you might do on your board, then modify it to challenge yourself on land! This will help develop arm, leg and core strength, and balance, to get you ripped and ready for next year! You weren’t so bad yourself! Hi susan! How are you!!!!!??? 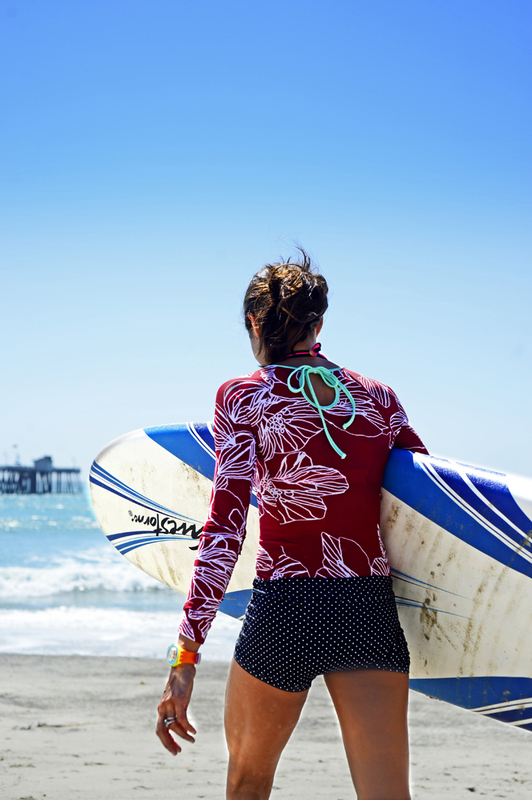 Next > Surf Style Be Free!